Infusionsoft is a sales and marketing tool specifically designed to help small businesses automate customer lifecycle and relationship management and sales. Integrating Infusionsoft with Acquire provides your customer support team with a complete, integrated view of your customer’s data and where they are in the sales process. Infusionsoft can now access and store each visitor’s details after a live chat session via Acquire. 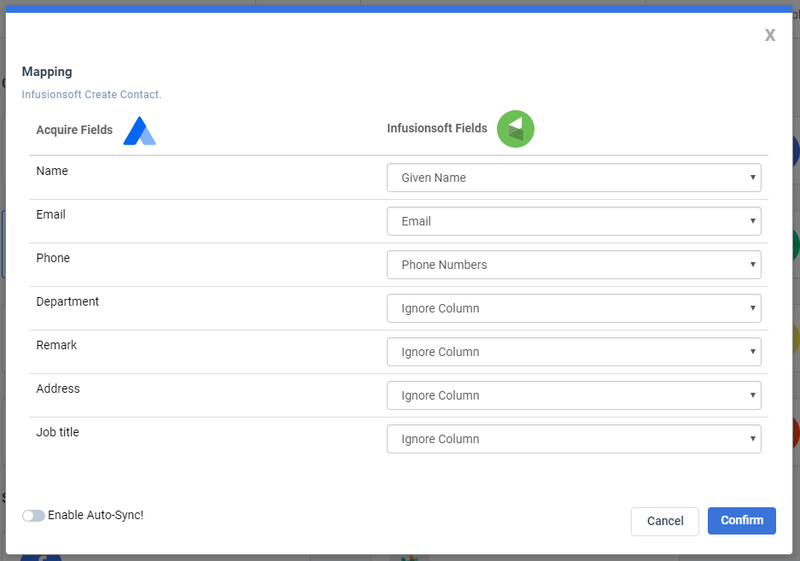 Each customer’s details will be saved in the CRM and your support team will be able to track leads and customer information from Acquire in Infusionsoft. 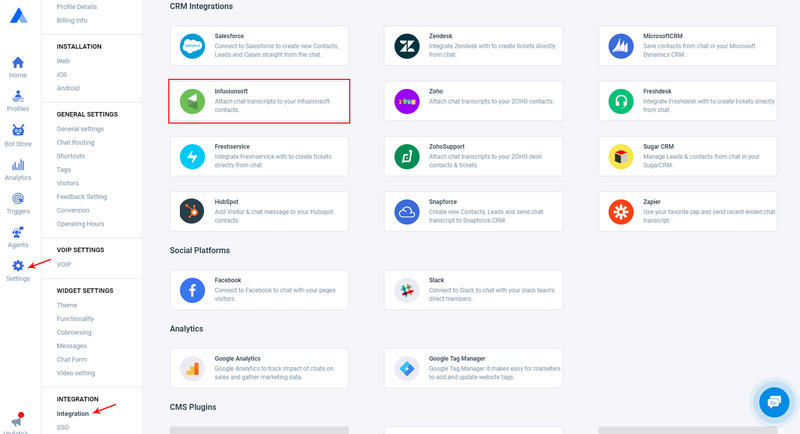 Go to https://app.acquire.io in Dashboard > Setting > Integration > Click On Infusionsoft. Now enter your Infusionsoft admin account credentials to log in. Authorizing the application will give you access to Acquire from Infusionsoft. 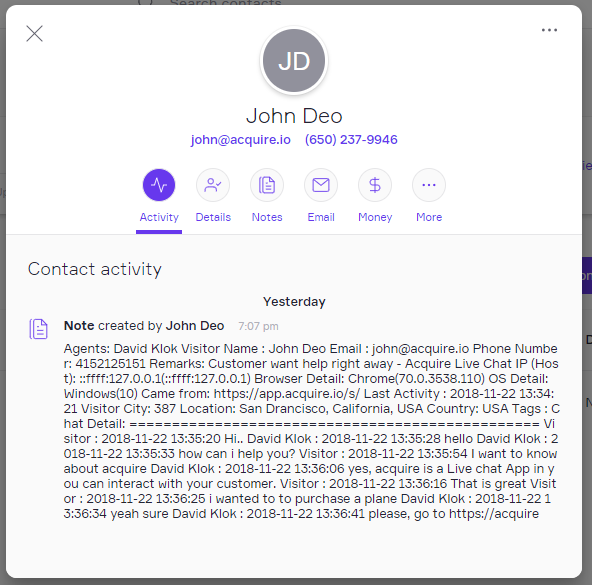 After connecting successfully, you can now choose to send contacts/leads and their conversations manually or automatically. By enabling auto sync, all contact details from Acquire will automatically sync to Infusionsoft. After connecting successfully, the mapping between the fields can be done manually or automatically. By enabling auto sync, all of your customer details will be automatically sync in Infusionsoft. A customer support agent can save a customer’s details during a chat. After clicking on “Save to CRM”, click the Infusionsoft button to send the customer details and a chat transcript to Infusionsoft. 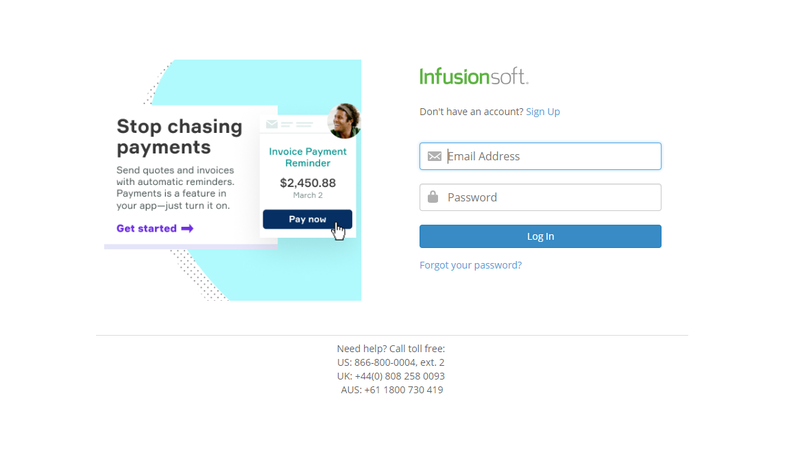 Customer details will get saved automatically into your Infusionsoft account. You will be able to view the customer data in the Infusionsoft dashboard, under the Contacts section. You can view the chat transcripts under the Notes section. 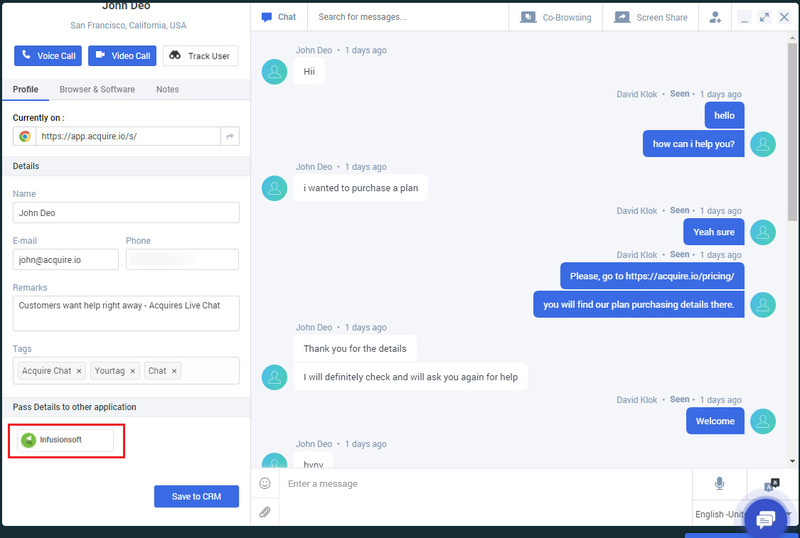 Once you have saved your script successfully, you can start working with Acquire live chat. If you are experiencing any trouble with this integration, please feel free to contact us at hello@acquire.io. Check out our other integrations here!